I am finally going to finish 2017! Week 52 covers December 25 – 31. As always, your feedback is encouraged. 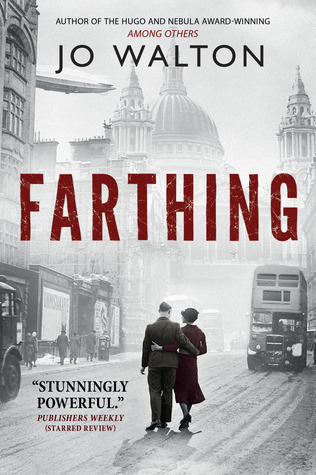 Farthing by Jo Walton – I borrowed this as an e-book from the Boston Public Library. This is Small Change #1. This is speculative fiction in which Britain negotiated peace with Hitler and World War 2 never happened. They just sort of let Hitler do his thing while they stuck their heads in the sand and became more like them over time. Lucy and David (Jewish) are invited to a country party by her parents where a prominent politician is murdered and David is framed for the murder. The Scotland Yard inspector believes in them and has his own reasons to get to the bottom of the case. Once the politician is murdered, the other house guests more or less take over the government and push through legislation that takes rights away from the population. Though this was published in 2010, it has parallels in out current political situation. I’m giving it 5 stars. 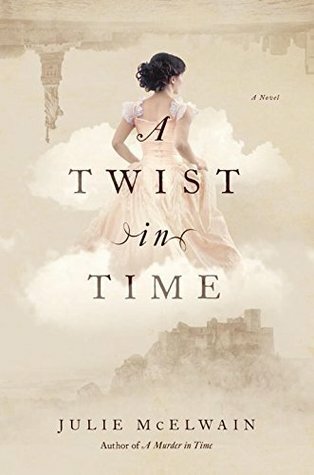 A Twist in Time by Julie McElwain – I borrowed this as an e-book from the BPL. This is Kendra Donovan #2. Kendra is still stuck in 1815. But a woman has been murdered and her benefactor’s nephew is the prime suspect, so obviously they need to solve this latest mystery. This was better than the last one because it doesn’t center so much on the time travel stuff. As a historical fiction mystery novel, this is definitely one that I would recommend. Maybe skip the first one. I am curious about what the 3rd will be like. I’m giving this 4 stars. 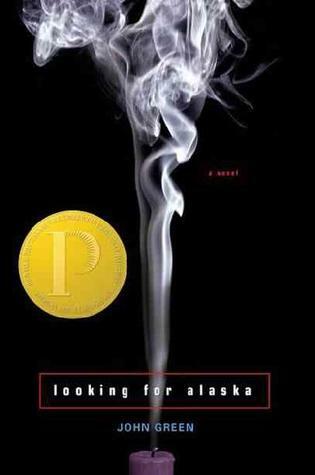 Looking for Alaska by John Green – I borrowed this as an e-book from the BPL. John Green is sort of the master of sad YA fiction. His characters have to deal with the worst things sometimes. I think these are good topics for young adults. In this one, the kids are at a boarding school and they all misbehave. Pudge falls for the girl down the hall, Alaska. Her moods are all over the map. Her behavior is destructive. Her home life isn’t the best. Her boyfriend is not that attentive (he’s off touring with his band or something). And her mother is dead. Then she gets in a car crash in the middle of the night. And then the rest of the book is about how all of the other students deal with that in their own ways. I’m giving it 4 stars. And I am finally done with 2017. Yay! Whether you disagree with my opinions or not, I would love to hear from you. This entry was posted in What I Read and tagged Boston Public Library, Jo Walton, John Green, Julie McElwain, Kendra Donovan, Small Change. Bookmark the permalink.